Are You Excited About Starting or Finishing? Legendary cellist Jacqueline Du Pre was six years old when she had her first competition. 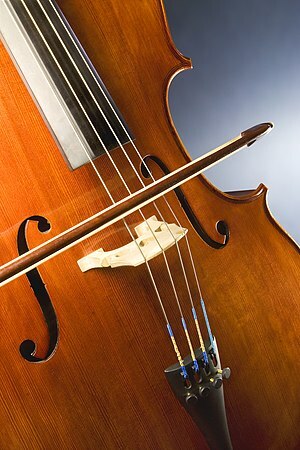 She was seen running down one of the corridors, holding her cello above her head excitedly with a huge grin on her face. An adult walking past saw her expression and interpreted it as relief. When you have an important task to do, are you relieved when you’ve finished or excited to start? Are you relieved when Friday afternoon comes along or excited about Monday morning? To do truly great work requires passion and enthusiasm. One of the best ways to test how passionate you are about something is whether you’re relieved to finish or excited to start. This week, let me encourage you to test how you feel about the work you’re doing. If you can’t wait to start, that’s a great sign. If you can’t wait to finish, perhaps it’s time to do something about it. some great food for thought. I think I heard in passing one of those singing/talent shows made similar comments to a contestant who had just finished their act. Makes you wonder sometimes just what our face gives away!! Thanks Jill, a good poker face is handy at times. Well, I surely must be on the right track–because I cannot wait to get started every day! Thanks, Darren! That’s great Rose, your certainly are on the right track. Oooohhhh . . .thank you, Coach D! I’m going to be checking this one. Sometimes I just get too tired and then it’s hard to look forward to anything! Thanks Debbie, remember doing great work brings its own energy. The music sustains the human spirit, to motivate you to begin to fulfill its mission. Thanks, I love music and it certainly can be a great motivator.